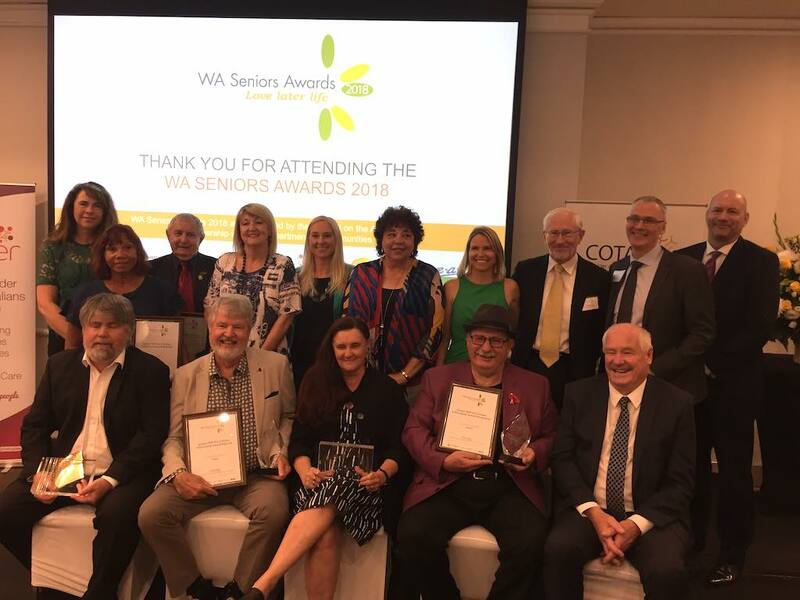 2018 WA Seniors Award winners and finalists with Minister for Seniors Mick Murray – the awards are run by COTA WA in conjunction with the Department of Communities and proudly sponsored by Juniper, Lotterywest, and Have a Go News. Renowned Perth butcher Vince Garreffa has been recognised with the top honour at the WA Seniors Awards 2018 for his multi-million dollar fundraising efforts on behalf of Lifeline WA. Mr Garreffa, who took out the metropolitan Juniper 2018 WA Lifetime Achievement Award, was joined by regional Lifetime Achievement Award winner Grant Westthorp, who was awarded for his contribution to men’s health advocacy and awareness in the Great Southern. The City of Fremantle was commended for its commitment to age-friendly initiatives, while Coffea Fine Espresso Café was recognised for its work in developing a safe, welcoming environment for dementia sufferers and their families. Seniors and Ageing Minister Mick Murray presented the awards at the ceremony held on the 17 November – the culmination of WA Seniors Week 2018 – to honour the important contributions of seniors and those dedicated to the causes of seniors. Mr Garreffa now dedicates more than half of his time to his fundraising efforts with Lifeline WA, having raised an incredible $3 million for the organisation – while Mr Westthorp works towards building better physical and mental health outcomes for men with his ‘survival handbook’ and app to promote personal resilience. Proudly sponsored by Juniper and Have a Go News the awards are an opportunity to recognise our unsung heroes. “The Seniors Awards do a wonderful job of demonstrating the benefits of positive, active ageing – and remind everyone that age is not a barrier to achieving great things. “Vince Garreffa’s fundraising efforts are quite remarkable and set a wonderful example of the value helping others can bring to the community, and indeed the individual. “Grant Westthorp’s efforts in pushing men to engage more closely with their own physical and mental health is to be commended, particularly since his efforts are focused in the country, where these issues are more pronounced,” said Seniors and Ageing Minister Mick Murray. “Coffea Fine Espresso Café’s innovative and thoughtful approach to helping dementia sufferers and their families sets a wonderful example for other businesses, and I would hope their win inspirers others to think about services they could provide in this area. 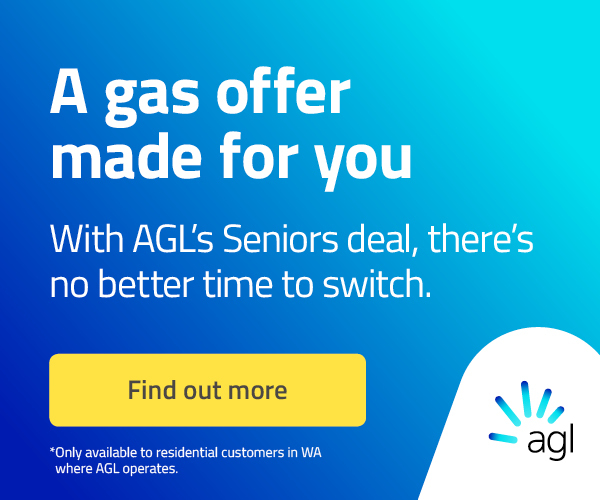 Have a Go News extends its congratulations to our long-time supporter Kings Tours and Travel which were voted as a finalist in the Age Friendly Business Awards.